Four players. Three matches. Two days. One winner. This Tuesday, high stakes poker players Doug Polk, Phil Hellmuth, Dan Cates and Frank Kassela will compete in the first-ever King of The Hill heads-up No Limit Hold’em contest for $200,000 USD at Rivers Casino Schenectady. Cards will be in the air starting at 3:00pm Eastern Time, with the live stream featuring commentator Shaun Deeb beginning shortly afterwards. Fans residing outside the United States can place real money wagers on the King of The Hill outcome by visiting PokerShares. Following is a biographical preview of all PNIA King of The Hill competitors. Frank Kassela arrives in New York Tuesday as the hands-on underdog in his semifinal match versus highly-skilled poker player Daniel Cates. However, that hasn’t stopped the 49-year old from preparing to make the inaugural KOTH finals. The three-time WSOP bracelet winner impressed hundreds of fans during his KOTH Podcast Week segment with our own Doug Polk. Kassela takes an extremely open approach to spreading the game of poker to new audiences, going so far as to invite recreational players to participate in show-you-the-ropes $1/$3 NLHE games at the Bellagio, Wynn, Hard Rock and other venues. Frank’s easy-going personality could mark a new chapter in live poker marketing, especially when it comes to attracting those who typically play slots or pit games. “If we’re all bringing in 10-15 people a year, we can keep the game growing,” states the former WSOP Player of The Year. ‘Jungleman’ Dan Cates is among the most highly-regarded real money card players in the world, whose “Durrrr Challenge” lead over high stakes player Tom Dwan has endured for roughly seven years. Cates, a 27-year old from Maryland who routinely sees millions of dollars exchange hands in live poker games, revealed recently on the DougPolkPoker YouTube channel that he can “smell the sims” when competing against certain players online. He is thought to be one of the foremost authorities on Short-Deck Hold’em — a game the inaugural KOTH contestant hopes will increase in popularity throughout the world in 2018. Iconic poker personality Phil Hellmuth is a three-decade veteran of the game who burst onto the scene in 1989 when he took down the WSOP Main Event by defeating then back-to-back champion Johnny Chan. Since that time, the Poker Brat has been a live poker trailblazer thanks to record-breaking tournament results, hundreds of guest appearances and his unique table antics, which many in the industry believe have been instrumental in growing poker throughout the 21st century. However, it has been Phil’s willingness to openly communicate on a wide range of controversial topics that has elevated the 53-year old into a top-tier, modern era poker personality capable of providing value to an increasingly informed community of veteran and recreational players alike. Upswing Poker co-founder and three-time WSOP bracelet winner Doug Polk rose from the ranks of ultra-competitive online poker cash games to become one of the most respected heads-up No Limit Hold’em players on the planet. Yet it could be the 28-year old’s knack for creativity that has been similarly responsible for Doug’s success on third party live streaming platforms such as YouTube, Twitch, and Facebook Live. The Polkernews creator and Team GrindNation personality has become a fixture of Poker Entertainment in 2017, and currently owns the poker tournament live stream cash record on both YouTube and Twitch. Team Upswing wishes all four competitors the best of luck this week at the Rivers Casino New York. The inaugural King of The Hill matches will be broadcast with a short delay on the official @PokerNightTV Twitch Channel starting Tuesday at 3:30pm Eastern Time. Learn more about HU No Limit Hold’em. 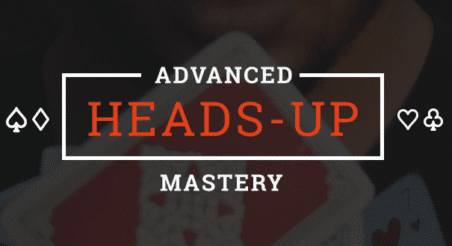 This strategy series is not just for heads-up poker players because understanding wide-range situations applies to all forms of poker. Click here to check it out.